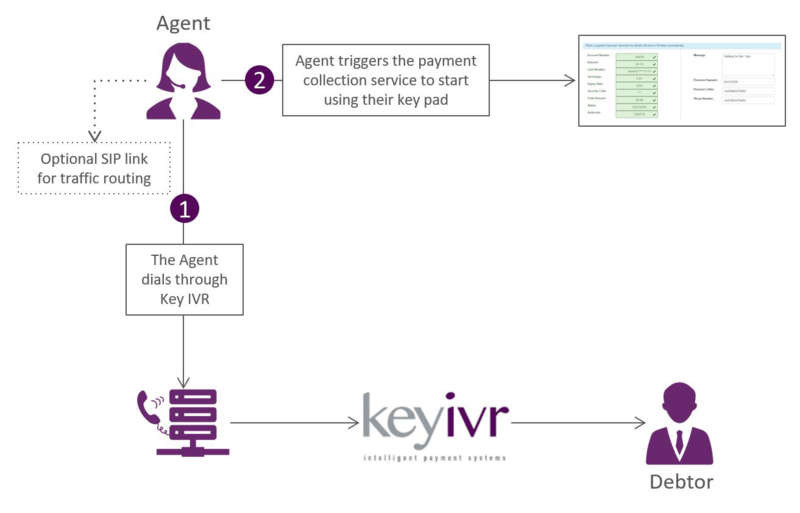 Trust Key IVR to help your organisation take PCI-DSS compliant payments, reducing the risk of brand-damaging data breaches. Customers are placing their trust in your organisation with sensitive payment details everytime a payment is made over the phone. Data breaches and other malicious activity from rogue agents or cyber attacks can not only result in massive fines but irreparable damage to your brand in the marketplace, so it is important you have a robust payments solution in place. Many organisations aim to become PCI-DSS compliant, the Payment Card Industry Data Security Standard (PCI-DSS or PCI DSS) is a set of security standards designed to ensure that all companies that accept, process, store or transmit credit card information maintain a secure environment. 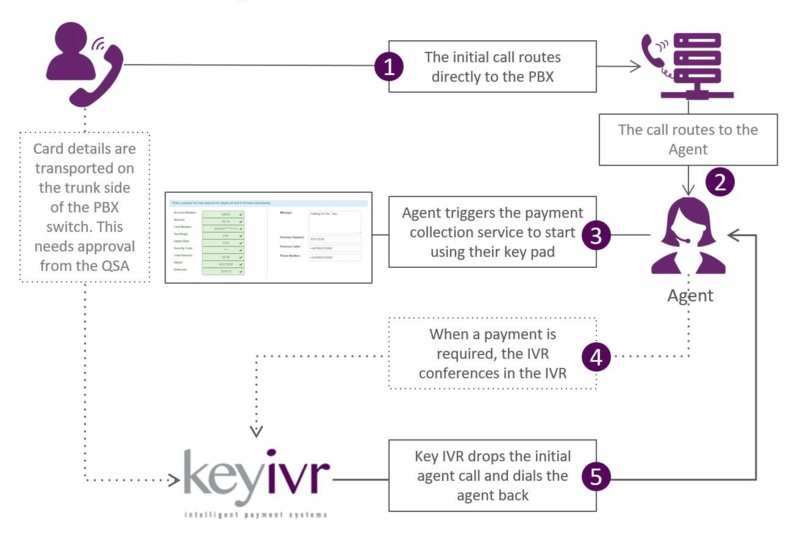 This can be a challenge to implement across your entire office and network environment, but with a Contact Centre solution from Key IVR, the payment data never reaches your systems. With DTMF suppression on all calls you can drastically reduce the risk of data security, saving your organisation valuable time and money without comprising customer experience. Our platform is recognised by international payment gateways and PCI QSAs, delivered by trained, experienced industry professionals. We will work with you and your security specialists to implement a solution that meets your business requirements. For customers reading out sensitive card details on the phone, pause and resume call-recording isn’t enough to be PCI compliant. You still have to rely on your agents to stop the recording, important information from the customer might be missed, and even then your agents are exposed to the card details that could be used for malicious purposes. Our Contact Centre solution removes the need to read out card numbers completely, customers securely enter information on their phone’s keypad, with DTMF tones suppressed so no sensitive details reach your system. Some solutions transfer the customer from the agent to an automated IVR so if there are any issues the agent is unable to assist. Our Contact Centre solution improves engagement and reduces abandoned calls by ensuring the agent stays in conversation with the customer throughout the process. Find out more about our Agent Assisted Payments service. 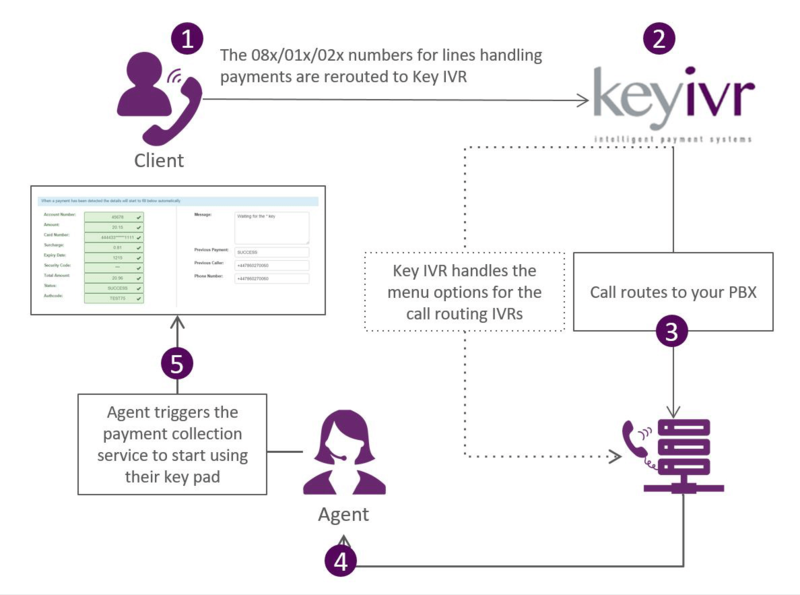 Key IVR’s mission is to deploy solutions that work with the customer’s needs so we’re not tied to a particular telecoms supplier or Partner. We can focus on developing integrations that work best with your existing network and, where possible, without needing to change providers. By clamping the phone signal at the start and end of the network, the risk of data leakage across all phone networks is removed completely. Some solutions simply mask the numbers reaching your Contact Centre whilst our service strips out all sensitive information altogether, leaving the audio behind. This allows you to record the entire call and adhere to strict regulation. As a fully hosted solution there’s no need to install or maintain hardware on site – either in a server room or on the agent’s desk. This allows for unrivalled flexibility and a deployment to suit how your business operates, improving user adoption and reducing the impact on your customers’ experience. Calls entering your organisation will be routed through the Border platform, suppressing the data DTMF to deliver Voice only. This ensures every call is PCI-DSS compliant so agents can process a payment securely and the call can be safely recorded. All sensitive data is stored off-premise, assisting in de-scoping your entire office environment. Customers are asked to enter their card details into their handset and the agent's screen will update live with the progress and outcome of the payment. An agent has access to the secure PCI-DSS compliant Border payment portal on an ad-hoc basis. If a customer wishes to make payment the agent can place the customer on hold, speed dial the payment platform then transfer the customer to the new, secure call, all within a few seconds. The customer and agent are able to discuss the payment details and complete the transaction. The agent's screen will update live with the progress and outcome of the payment. In Outbound mode the agent can use the secure payment portal when calling the customer to collect a payment. The call will route through the Border platform, suppressing the DTMF data entered by the customer, ensuring PCI-DSS compliance. Customers can enter their card details into their handset whilst still connected to the agent. The agent's screen will then update live with the progress and outcome of the payment. Call us on 01302 513 000 or email sales@keyivr.com and we'd be happy to discuss the options in more detail. The Payment Card Industry Data Security Standard (PCI-DSS) is a set of security standards for all companies that accept, process, store or transmit credit card information. The European Union’s General Data Protection Regulation (GDPR) came into play on 25th May 2018 and affects how you manage customer data. By becoming PCI-DSS compliant your organisation is on the right path to removing sensitive card data from your network and any malicious activity. Want to know more about PCI-DSS or GDPR? We’d be happy to show you our Contact Centre solution in action with a one-to-one on-screen demonstration from a payment solutions expert.